Grand Fiesta Americana Puerto Vallarta offers a journey of culinary delight and moments to savor for your Mexico vacations to come. You will find plenty of options of á la carte casual and fine dining, a buffet offering made-to-order dishes, and a delicious 24-hour room service menu. Immerse in your own luxury retreat and become one with the Pacific Ocean. Each suite was carefully designed so you could witness the most exquisite sunsets from the bliss of your room or the privacy of your balcony. 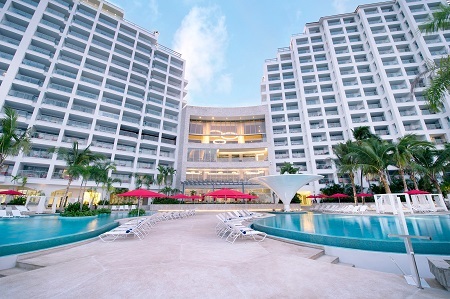 Offer is based on a Double Occupancy in a Junior Suite Ocean Front King or Double Room. One king or Two double beds with our all inclusive plan and admire the most beautiful sunsets. The Pacific Ocean's panoramic views are yours to cherish from your own piece of paradise. 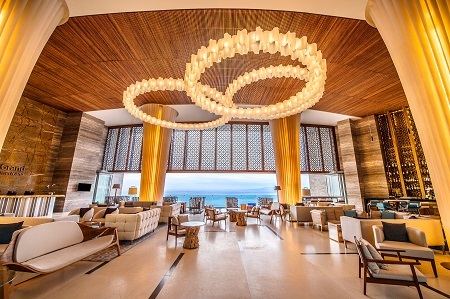 These elegant oceanfront suites are located on floors 1, 2 and 3. 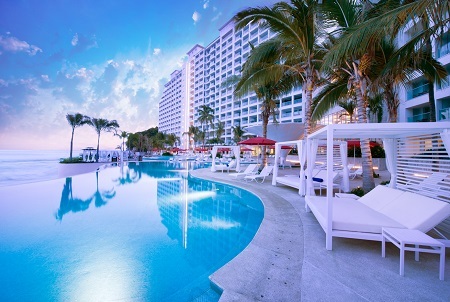 For Puerto Vallarta hotels, the first floor is the first level up, and being up always means a better view. Soothe yourself in a walk-in rainfall shower, lay down and watch a movie, or relax in a sitting area and a large balcony to watch spectacular sunsets. Stay for a minimum of 1 Night and a maximum of 10 nights as desired and based on availability. Auction Winners are advised to submit their preferred travel dates upon winning of the auction.